Soaked the shredded apples in ice water with ½ tsp of sea salt for 15 minutes. 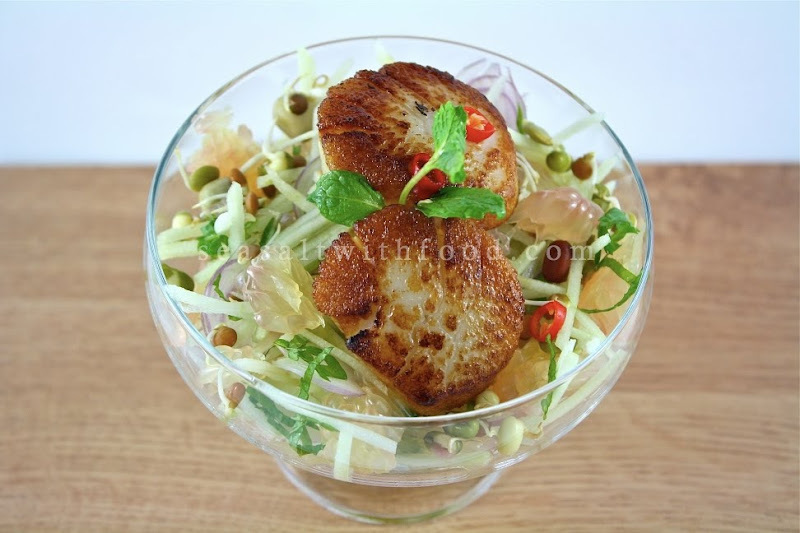 Drain and combine the apple with pamelo, shallots, mixed fresh beans, coriander and mint leaves. Chill the salad mixture and in the refrigerator until ready to serve. In a medium cast-iron pan over high heat, add the oil and sear the scallops. Turn the scallops once, and remove from the heat when scallops are just cooked, about 1 minute per side. 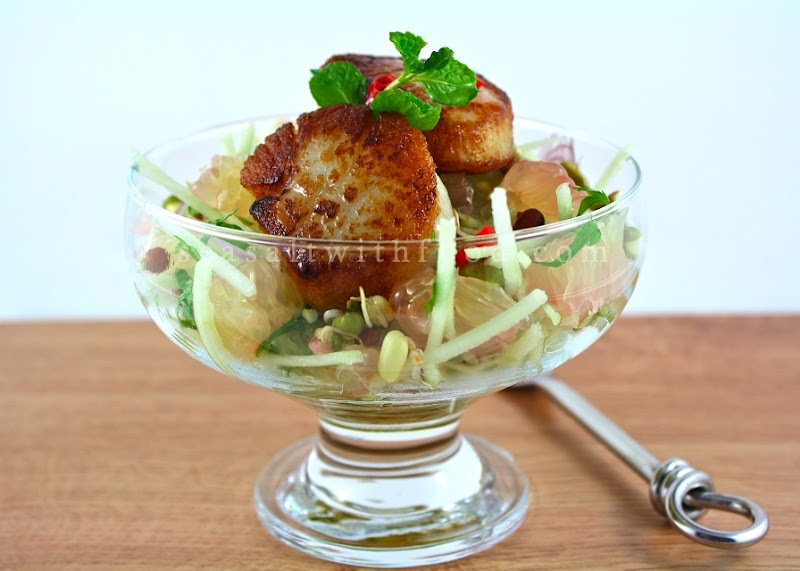 Divide the salad and top with scallops and drizzle with the salad dressing. Serve immediately. This dish looks so refreshing with all those bright flavors and various textures. It's a beautiful entree! 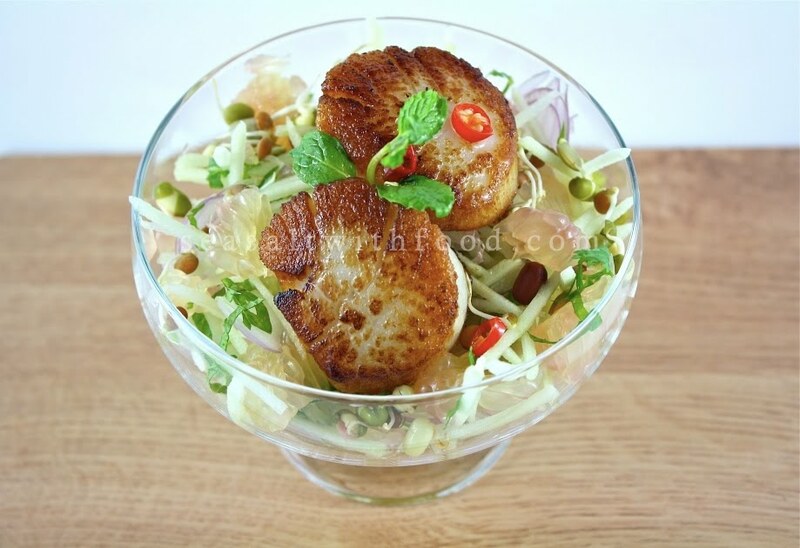 After reading your post, I am thinking of making Ipoh Pamelo salad. Too bad it's not the Pamelo season in Sydney.